Rainbow bundle value pack of HP Compatible 125A Colour LaserJet toner cartridges. 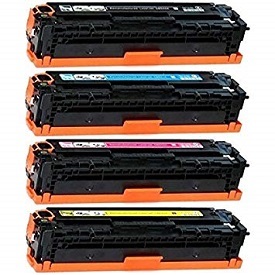 One (1) each of Compatible Black, Cyan, Yellow and Magenta (set of cb540a, cb501a, cb503a, cb502a) toner cartridges. Compatible HP 125A Toner Cartridge Page Yields : Black toner cartridge 2,200 pages. Yellow, Cyan & Magenta, 1400 pages per colour cartridge. 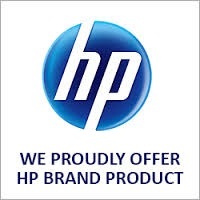 Designed, manufacturer and print quality guaranteed for use with HP LaserJet Colour, mfp, CP1210, CP1215, CP1217, CM1312, CM1312nfi, CP1510, CP1515, CP1515n, CP1518, CP1518ni printers. Need a reprieve from the cost of HP new toner supplies ? Our compatible rainbow bundle value pack is the answer. Top quality print results combined with guaranteed toner cartridge performance reduces your cost per page printing. With page yields equivalent to HP new of 2,200 Black CB540A, and Cyan, Yellow and Magenta at 1,400 per colour (CB501A, CB502A, CB503A) you will not only be happy with the colour of your prints but also the dollars left in your budget.